Last week I went to meet my Investor at his home whose son is collage going guy aged 22 year. During some conversation with him he shares me his own story of POCKET MONEY. He spends Rs. 8000/- every month and after hearing this amount I got shocked. But Slowly he told me that he also want to save some amount from his pocket money. He shared his worry of higher expenses on Electronic, Gadgets, Mobile bills (Voice and data charges) and online shopping are on priority list. However every student got his fixed amount as pocket money, but some students can’t manage their monthly budget. Today I want to share some secrets which can minimize expenses of students and also start habit to save some from this PM (pocket money). This article is for all the students who earns nothing but want add value to their student life. Rather than going for regular saving bank account, look at specially designed student saving account. Some banks offer zero balance facility, free demand draft for exam fee etc. Check all this stuff on bank’s website before applying for saving account. Since students don’t have any fixed source of income, it is must to have fund for emergency requirement. Rather than borrowing from friends, making some adjustments, such as avoiding movie at multiplex can help you prepare for both opportunities and crises. Don’t afraid from word budget, you just need simple plan in excel sheet or any good apps in your mobile. The basic idea is to keep track of your monthly expenses and stop any unnecessary spending. Make simple list before going for any shopping. Buying books often flame a hole in your pocket. Instead ask your friends to chip and buy them together. Cutting down your expense by Rs 500/- hundred every month would have saved you Rs 1000/- in just two month. Rather than spending thousands of rupees in restaurant, take permission from your parents to organize a party in your backyard. You can order good food to have fun at half rate. 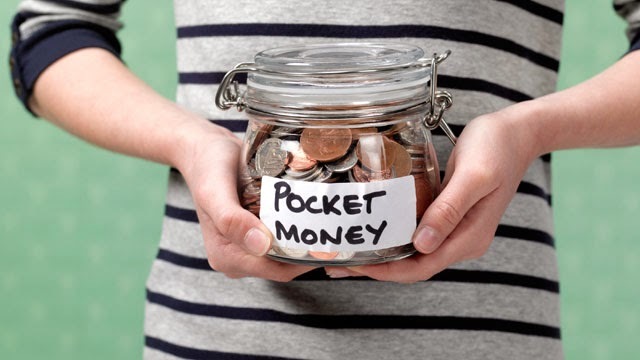 You can start a part-time job to supplement your pocket money. There are various profiles such as BPO executives or opt for unusual roles like a city tour guide or recruitment agent. You can also take advise from your college placement cell on part time job. Abbasali, Amazing article it will surely help to students like me.